Is there a Cancer Cure in Tree Bark? Pau d’arco, from the Lapacho tree, has been studied by many people, cultures and institutions showing one similar finding: it is a bark with unbelievable health benefits. 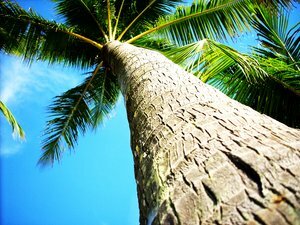 Pau d’arco comes from an evergreen tree that grows in South America. Because this tree (Tabebuia avellanedae) is now endangered, people are harvesting tree bark from similar species with intentions of either curing disease or turning profits. The greatest attribute found in this tree bark is a possible cure for cancer. The University of Maryland Medical Center found that the bark of the Lapacho tree has anti-cancer properties, and is also anti-inflammatory, anti-parasitic, antifungal and antibacterial. Not much testing has been done on humans, but unconfirmed studies by researchers show that the bark stimulates immune system cells called macrophages. The bark extract reportedly kills lung and liver cancer cells that are grown in test tubes. Distributors with the Taheebo Tea Club report a client has cured a skin condition in their dog. The owner of the Taheebo Tea Club also stands by his belief that the cure for cancer is in this tree bark. The group claims to have cured brain cancer in a client, and to have also cured cancer of the colon that was diagnosed in the owner’s father. Although the tree that produces this famous bark is endangered, the Taheebo Tea Club claims there is no need to kill the tree just to harvest the bark. Their method strips the wood in a way that leaves the tree standing for another harvest. The American Cancer Society (ACS) reports high levels of bark extract has the potential to be poisonous. But there was one study conducted in the 1970s by the National Cancer Institute that found no toxic effects on liver or kidney tissue. Another risk the ACS reports comes from the products being falsely advertised as Pau d’arco when they are actually other tree barks. Twelve sample products were tested in Canada, and the study showed that only one contained lapochol, which is an ingredient in pure Pau d’arco. The University of Maryland Medical Center warns people that this bark in high doses can cause uncontrollable bleeding, as it is thought to be a blood thinner (others report this is a blood builder and a tonic that is used to treat anemia). The uncommon side effects of Pau d’arco include “anemia, nausea, diarrhea, and dizziness.” So, it is hard to tell how beneficial this herb exactly is, but people around the world want to see firsthand if the cure for cancer really is in this tree bark. By Lindsey Alexander, This article courtesy of guardianlv.com. 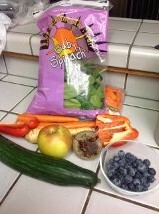 My New Superfood: Rainbow Juice! 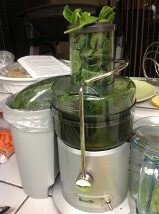 I’m busy enjoying the warm weather in sunny California and juicing up a storm! 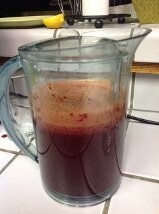 I made this concoction a few days ago and dubbed it “Rainbow Juice”– because it’s made from all the colors of the rainbow. I found that Rainbow Juice was not only more tasty than I could have ever imagined, but that I was also FULL OF ENERGY after I drank it! My achy knees didn’t even bother me that evening! Now, do you know how important the color of fruits and vegetables are to your health? 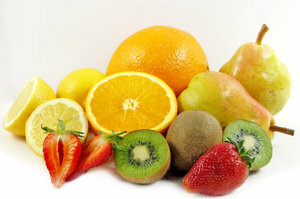 Yellow and orange fruits and vegetables are good for your digestive system. They contain carotenoids and bioflavonoids which act as antioxidants. They also help keep your skin looking healthy, heal wounds and make your bones strong. Red fruits and vegetables are beneficial for your heart and fight cancer because their red color comes from lycopene. Lycopene is a pigment that acts as an antioxidant and protects your body from free radicals and heart disease. Green fruits and vegetables contain lutein which keep your eyes healthy. Green foods also have potassium, folate, and vitamins C and K.
Purple foods have antioxidants and flavonoids which protect your heart and lengthen your life. They also improve your memory and assist in preventing cancer risks. Eating and drinking a wide variety of colored fruits, fruit juices and vegetables will maximize your health–similar to the way a superfood would. Therefore Rainbow Juice is indeed a superfood! One of the best ways to have a balanced and healthy diet is to eat an array of colored vegetables and fruits. The different colors of these foods provide particular functions for our bodies. White fruits and vegetables support our immune system. They are anti-fungal, anti- bacterial and anti-biotic in nature. They fight off external and internal things that try to damage our bodies. Cauliflower, onions, garlic, ginger and shallots all fall under this category and are great immune system boosters. Yellow and orange fruits and vegetables make us beautiful and are good for our digestive systems. They contain carotenoids and bioflavonoids which act as antioxidants. They help keep our skin looking healthy, heal wounds and make our bones strong. Lemons, butternut squash, pineapple, summer squash, oranges, yams and cantaloupes all contain these powerful qualities. Red fruits and vegetables are beneficial for our hearts and fight cancer because their red color comes from lycopene. Lycopene is a pigment that acts as an antioxidant and protects our bodies from free radicals and heart disease. Good sources of lycopene are tomatoes, red bell peppers, beets, watermelon, radishes, red cabbage and chilies. Green fruits and vegetables contain lutein and carotenoids which keep our eyes healthy. Green foods also have potassium, folate, and vitamins C and K. Avocados and kiwi are star players in this category. Avocados lower cholesterol, prevent strokes, help with absorption of nutrients, protect our eyes and are a great source of glutathione. Kiwis are so rich in Vitamin C that just one kiwi contains almost our whole daily amount. Purple foods have antioxidants and flavonoids which protect our hearts and promote longevity. They also improve our memory and assist in preventing cancer risks. Good sources of these powerful purple foods include eggplant, purple grapes, plums, figs, raisins, prunes and blackberries. Next time you’re at the market, pick up some new colored fruits and vegetables to add to your diet. 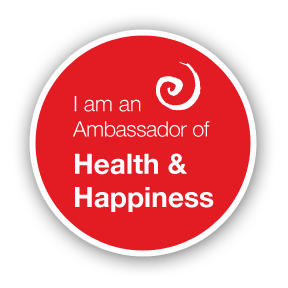 Your body will perform better, be healthier, and thank you! *My article was published in the December 2012 issue of the Port Ludlow Voice.